On a cool, but sunny Tuesday morning, as residents waited at the bus stop and workers were busy on the reconstruction of the CVS at 2509 Pennsylvania Ave. that was burned down during Freddie Gray protests, the Rev. 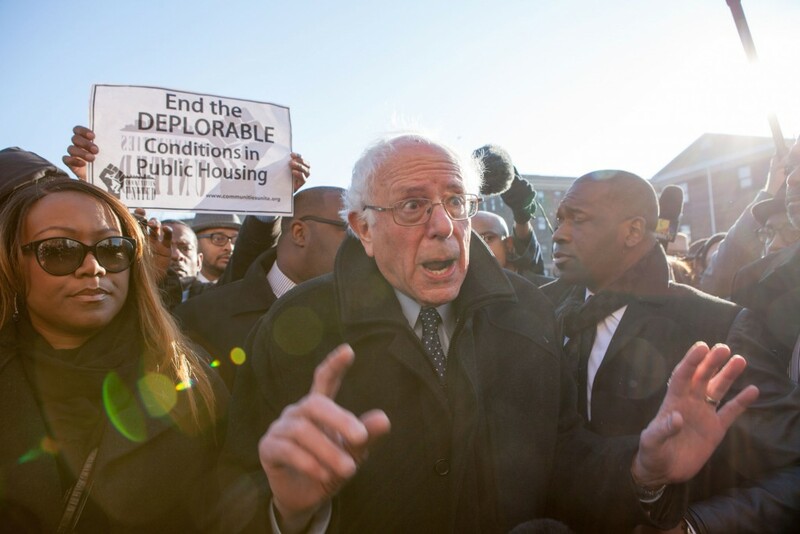 Jamal Bryant and a handful of community members lead presidential candidate and U.S. Sen. Bernie Sanders on a tour of the neighorhood that erupted following Gray’ death. The group, dwarfed by the nearly 40 media members covering the event, walked through the Sandtown-Winchester neighborhood where 25-year-old Gray had lived and protests took place even as a trial was taking place downtown for the first of six Baltimore police officers charged with Gray’s death.